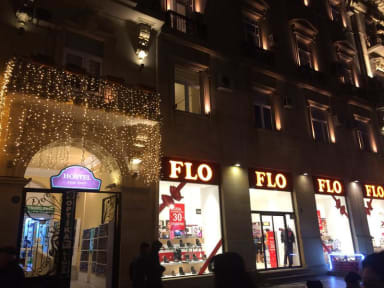 Main Street Hostel located in the heart of Baku on Nizami street (trade), within walking distance to major attractions and places that should be visited. Cafe, bars, restaurants and shops of the famous brands are in 3-5 minutes by walk. Our friendly staff will explain in detail how to get to a particular point in the city of your choice. There is always available: clean and fresh bed linen, and free tea, Wi-Fi area internet access, luggage storage. The rooms can accommodate from four to eight people. The hostel has a sufficient number of showers and toilets, at any time of the year there are hot and cold water, air conditioning, fresh repair, new furniture and reliable clean beds. The hostel has a modern design kitchen with stove, microwave, refrigerator and everything else necessary for cooking. 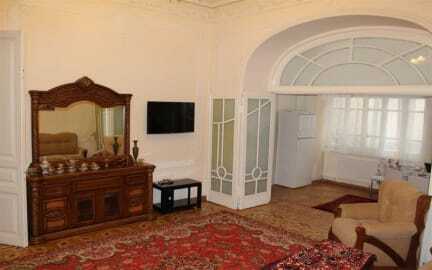 Choose us, regardless of whether you are looking long or short stay in Baku. We promise you will be satisfied! Breakfast included for extra pay. Guests younger than 18 years of age are allowed to check in only with parents/guardians.